Each month, over 11,000 NaturallyCurly.com users just like you hop over to our curly hair blogs and start journaling about everything from transitioning and big chopping to no-pooing and their curltastrophes. These women's words inspire us to keep providing a wealth of information about curly hair and being natural, simply by sharing their experiences, their personal challenges, their goals and ultimately, their success. In honor of our bloggers, we will be publishing a blogger highlight each month and give you the nitty gritty details behind a blogger's personal story, their journey and everything in between. Want to be featured on the site? Start a blog of your own and you just might get an email from our content team wanting to interview and feature your story front and center on the site for millions to see! First, I want to say a bit of background information about my curly hair: I've never really straightened my hair, but my friends were always ready to pounce on me with their straighteners. Nonetheless, I guess I've always been natural, so that wasn't my problem. My problem was was that I didn't look after my hair. I never tried to do anything with it, or try to make it look good. This year, I slowly started paying attention to it, and began noticing some things. After discovering this web site, I thought I wanted to make it the best it can be! First, I started buying different products and began educating myself about silicones and sulfates. Quite a few times, I had to throw products away due to hidden cones and build up that was making my hair worse. I thought that my goal was to have healthy, long, well defined curls, and I really wanted my parents to see that since I live on the other side of the world and will becoming home in four weeks. Mum always had wonderful hair and always looked after it, so I thought that it would be something we could do together. My rules were simple: no products. I would only use things found in nature, including oils, teas, herbs and a homemade, all-natural conditioner. In addition, I would co-wash often and use an all-natural shampoo. Finally, I would keep a hair dairy and write in it twice a day, morning and night, to track my progress. What is it that I wanted to improve? Everything, but mostly I wanted to try to have as little frizz as possible, have well-defined curls and see how much length I could get in a short span of four weeks. So I would like to welcome you to my hair journey! I've been infusing olive oil with rosemary and using that quiet a bit. Rosemary is great for hair growth, so I thought I'd give it a go. So I pick fresh rosemary, pour olive oil over it, heat it up for 30 seconds, put a lid on it and leave it for a week. I could probably leave it longer, but a week is good for me. I also got some marshmallow root that I'll be using to rinse my hair. I've heard that's great as well. To start off, I used a sulfate shampoo. Now I haven't used sulfate poo in years, but I wanted to start with really clean hair. The next night I made a deep conditioner and left it in for two hours. Then I rinsed it out with water and carefully rinsed with the marshmallow. Note to self: wash the DT with no-poo next time — hair smelled bad after the water and marshmallow! I then sealed with olive/rosemary oil and let it air dry for a bit. Finally, I put it in a loose pony tail to sleep on it. So these first and second weeks are really me just trying a bunch of different things. I made an herbal spray to refresh my curls using rosemary, rose petals, lavender and peppermint. I simply poured hot water over it all and let it sit for a bit and strained it. I added a few drops of tea tree oil as well. I also started to French braid my bangs. I braided it when it was still a bit wet and then went to bed. When I woke up, I undid the braid, sprayed it a bit with water, put some of my marshmallow root conditioner through it and shook it out. I was really impressed. I had volume and nice defined curls and no frizz! I'm settling in nicely to not using any product. I'm still trying to work out how I should be washing my hair, though. Right now, after I wash my hair, I put some marshmallow conditioner through it, detangle it and spray it and seal it with a bit of olive oil and rose oil. Then I pineapple at night so that I just have to take it out in the morning and see how much work it needs. Normally, I just have to put some water in it and then a bit of conditioner and oil. Beginning of the third week really wasn't too great. I co-washed and then, of course, we had a fire. I had really good second day hair that day, too! When we got home, I managed to save it, though. I co-washed and just did my normal thing after: put conditioner through it, detangle and seal the ends. I think that the smoke does something to hair that makes it all dry and straw like. Normally, with this problem, I would use hair cream, but I just added a bit of my rosemary oil, and the next day it was better. The next day, I rinsed with marshmallow and combined a bit of jojoba oil, newly bought just to try it out, and argan to seal my hair with. When I woke up, I had perfect second day curls! I loved it! So, that day, I made a hot oil treatment and left it in for nine hours! 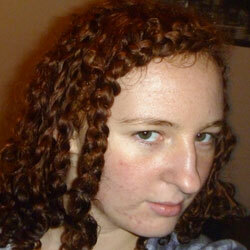 After I washed the oil out, I used a sulfate-free shampoo and rinsed with marshmallow root. For my hot oil treatment, I used a base of EVOO infused with rosemary, honey, pure argan, jojoba, pumpkin seed oil and tea tree. I couldn't believe how soft, defined and fizz free I was! 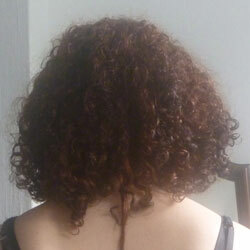 The next morning, when I woke up, I just scrunched a bit of argan oil in it to give me some more volume. 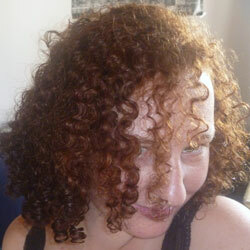 Although I normally have TONS of volume — the hot oil treatment seemed to have settled my hair quiet a bit. I also bought myself some omega-3 plus tablets. The tablets also have vitamin E, B6 and B12. All are great for the hair, so I've been taking one a day. But, since I just started, its far too early to see if it has any effect. My last week would have to be my worst. It's been really dry and the weather has been getting colder. So my hair has been showing that. 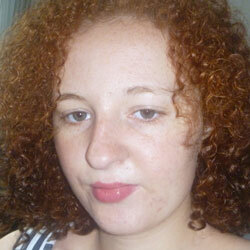 It has been really dry, frizzy and has had no definition, though I didn't give it any special treatments. I'm at my boyfriends and didn't take my stuff with me — oh well. The next thing I want to try is stinging nettle oil. I dont know if i can get the oil, or if it is too expensive for me. If it is, then I think I'm just going to make a rinse and use that. Nettle is supposed to be great for growth and shine and help with scalp problems. Don't get me wrong, I don't have any scalp problems, but I like to know all the benefits of something new that I'll be using. I think I'm going to start to do protective styling when I sleep, as well. I'm thinking braids, or at least I'll French braid my bangs, because even when I pineapple to sleep, my bangs dont look good. However, when I braid them, it gives me nice definition and volume. Although my four week run is up, I think im going to keep not using product as a general rule, and just use a little bit of product when I absolutely need it. Any product that I use I'm definitely going to make sure that it's natural. That leads me to my next thing: washing my hair. One of my rules was that I wasn't going to use shampoo, that I was just going to use conditioner to co-wash. I did try this, but I don't really like it. I don't think it leaves my hair or scalp clean. I have been using a natural, sulfate-free shampoo that does work wonders, though. I think because I don't use product that my hair doesn't need to be cleansed as often, so I'm going to just use the shampoo once every 10 days, or when I need it. 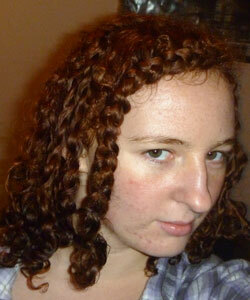 Read up on the details of Freddi's curly hair challenge on her natural "products" blog, and start your own! I have noticed some new growth, and by that I mean that I have new baby hairs all over my scalp and on my hair line that had thinned last year due to stress, so I'm really happy that my hair line is starting to thicken up! I'm really happy about how this challenge went and that I can FINALLY love my hair! I'm really exited about growing it out and trying new things with it. Things like twists, braids and different ways of styling my hair — all stuff I had never done before, nor could!